This coincidence has astrological relevance. 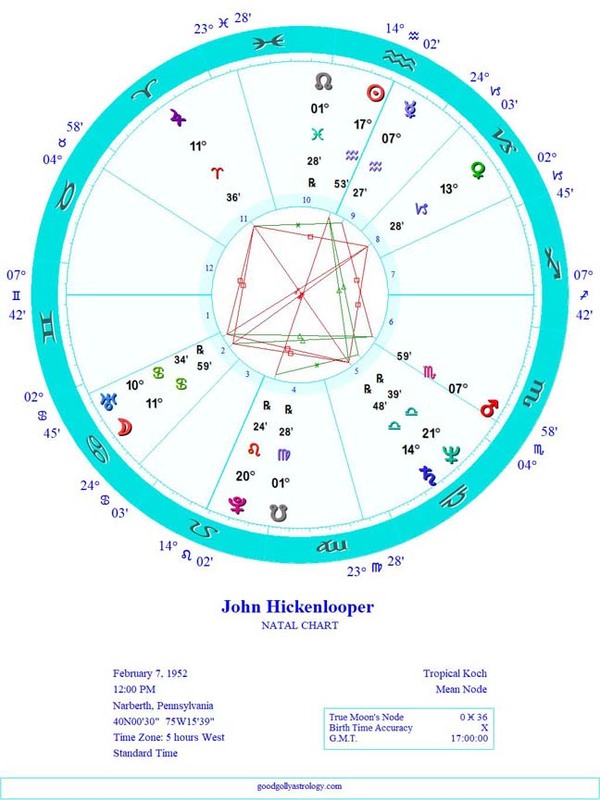 Since their birthdays are close, Hickenlooper and Inslee have the Sun placed at nearly the same degree in their horoscopes. Pluto was moving relatively slowly during this period so, even though they were born a year apart, both men have the Sun opposed to Pluto. The Sun forms a hard, angular aspect to Pluto in the charts three other contenders: Tulsi Gabbard, Kristen Gillibrand and Amy Klobuchar. When the Sun is in a hard aspect to Pluto you expect a certain level of toughness. People with these aspects are generally not quitters. Once they start something, they tend to see it through to the bitter end. Even though none of these contender is considered a front-runner, they are not likely to withdraw from the race, regardless of what the polls say. This is the series that just never seems to quit. 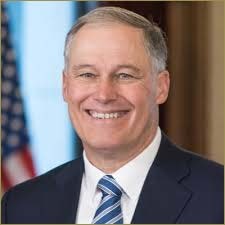 While everyone is speculating about the possibility of people like Mike Bloomberg and Beto O’Rourke announcing their candidacy for the 2020 Democratic nomination, today we had a person step forward whose name I’ve never heard mentioned: Washington governor, Jay Inslee. Inslee actually has a good deal of experience. 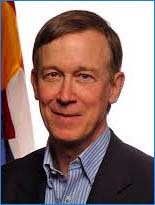 He’s served a couple of terms in the House and has been governor of Washington since 2012. He gained a modicum national attention in 2017 when his state sued President Trump over his Muslim ban. The law suit stymied Trump’s efforts for a while until the ban was finally approved by the Supreme Court. 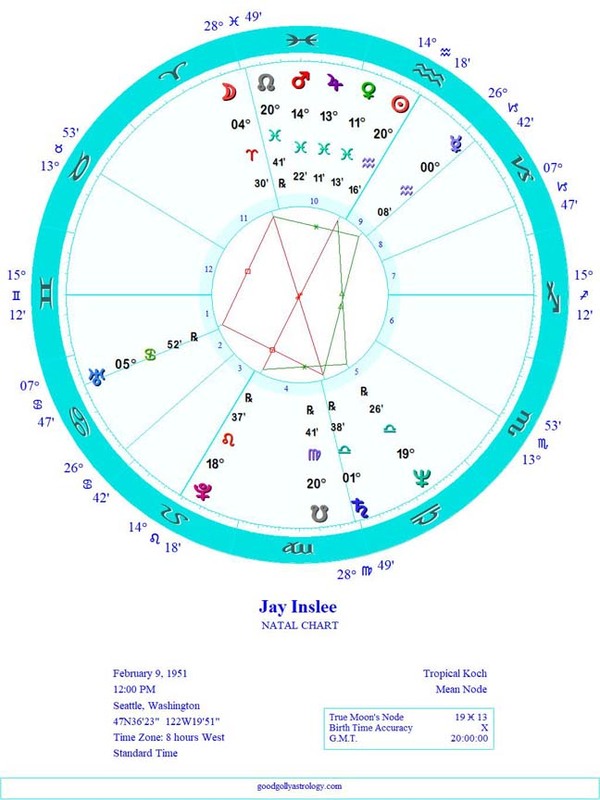 We don’t have a time of birth for Inslee, but a chart done for noon on his date of birth (click on Jay Inslee to see the chart) shows that he is an Aquarius by Sun sign with several planets (and possibly the Moon) in Pisces. Aquarians are typically “big idea” people but they often come across as cold and overly intellectual. Inslee’s stellum in Pisces gives him the ability to connect with all sorts of people on an emotional level. Today Michael Cohen begins a harrowing, three day journey through the halls of Congress. He will be interviewed by three different congressional committees, two in the House of Representatives and one in the Senate. 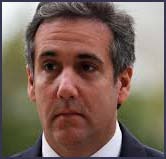 Only Wednesday’s hearing before a House committee will be televised, but the hearing Cohen faces today in front of a Republican dominated Senate committee promises to be the most contentious. Appropriately, the situation in Cohen horoscope is fraught with conflict. 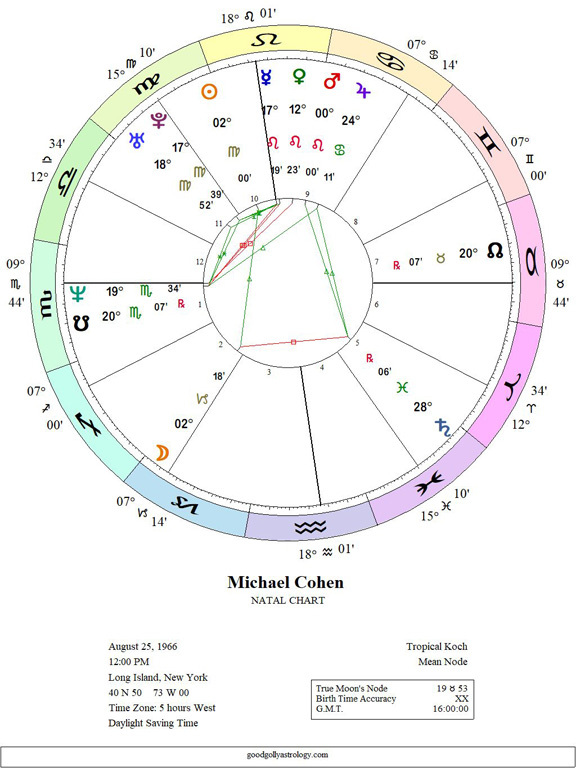 (Click on Michael Cohen to see a partial horoscope done for noon on his date of birth.) Transiting Uranus forms a 90 degree, square aspect to his natal Mars. At the same time Saturn is trine his natal Pluto and Uranus and quincunx his natal Mercury. Normally, I would not even consider writing about a horoscope like Jussie Smollett’s unless I had a confirmed time of birth. That’s because both the Sun and the Moon changed signs, from Gemini to Cancer, on the day he was born. 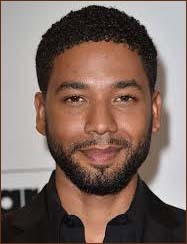 However, because of all the problem now swirling around Smollett, I’m going to go out on a limb and say he must have been born in the early morning, with the Sun and Moon both in Gemini. The Smollett affair began on Jan. 22 when he received an anonymous letter that threatened him with death that was signed MAGA. Then on Jan. 29 he was allegedly attacked by two men in ski-masks who beat him and taunted him with racial slurs and references to Donald Trump’s “Make America Great Again” slogan. During the next two weeks the alleged attack inspired both sympathy for Smollett and outrage at the overt racism and homophobia this attack represented. And then it all fell apart.